The following scores are now available for order via the "Contact" page @ 8 euro per piece. The first parts of the scores can be previewed on the "Scores" page. “Ich lebe mein Leben in wachsenden Ringen…” text Rainer Maria Rilke; Opus 9 number 5. The music scores are published by ‘Buromat Scores’. 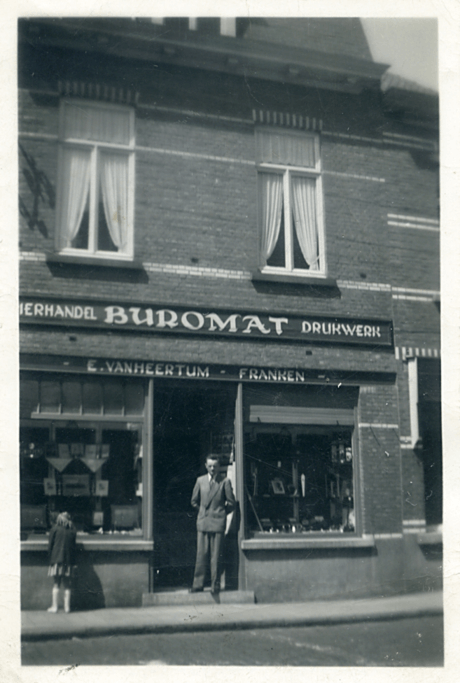 The name Buromat refers to the name of the shop for school supplies that my parents owned. Photo is +/-1955 with my father on the doorstep! The Stabat Mater uses the Latin text but projects it to the present. This piece is not so much about the suffering of the Mother of God but the suffering of mothers in general. The starting point of the music is the loss of a child and the feelings this causes to the mother: pain, anger, despair and finally acceptance. Whether a mother loses a child due to illness, hunger, an accident or a war situation; the suffering is universal. Unfortunately the events in 2015 and 2016 illustrate the relevance: both fanatic Syrian fighters killed in Syria and Iraq (or Paris and Brussels), as the innocent victims of attacks such as those in Paris, Brussels and throughout the Middle East, the young refugees who drowned during the hazardous crossing of the Mediterranean as well as the soldiers and police officers who were killed, they all have family that is left orphaned. 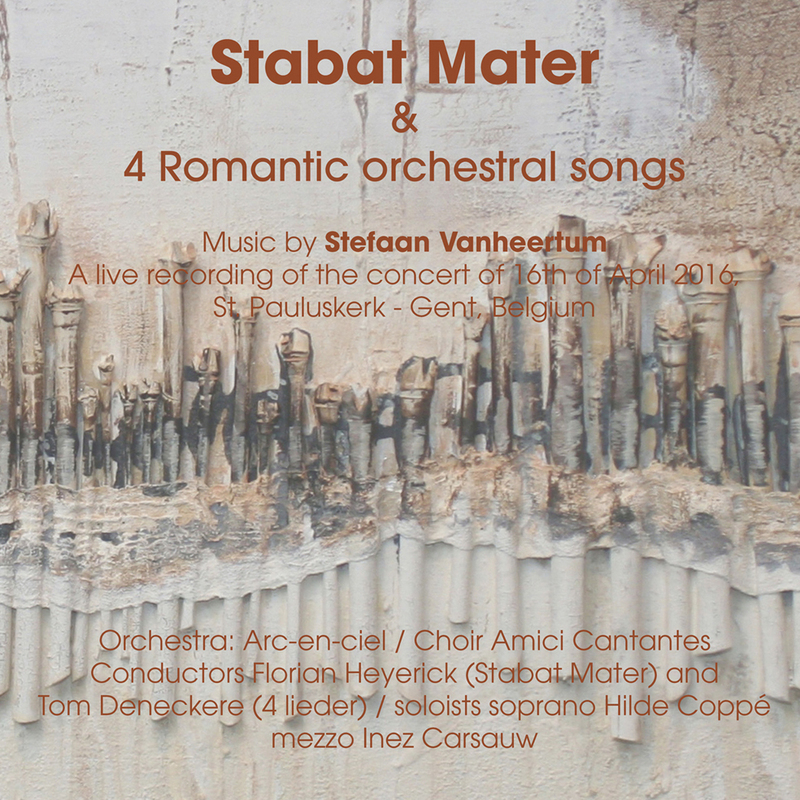 The Stabat Mater is an oratorio for orchestra, percussion, choir and two soloists (soprano and mezzo-soprano). The soloists are Hilde Coppé and Inez Carsaw, the orchestra Arc-en-Ciel (prepared by Tom Deneckere) and the choir Amici Cantantes under the direction of Florian Heyerick. The evening started with a performance of four orchestral songs based on poems by Rainer Maria Rilke, for high voice. Click here to listen to the last 2 minutes of the Stabat Mater; life recording of 16 April 2016. You can take a look at the orchestral score as well. CD can be ordered via the "Contact" page on this website!